Before looking at the 1955 reform of the Sacred Triduum ceremonies (Holy Thursday, Good Friday and Holy Saturday), it would be useful to recall that the Church from Apostolic times to the 20th century never failed to maintain an attitude of reverence towards liturgical tradition. The reason is precisely that it was the vehicle for protecting the deposit of the Faith. Here the principle lex orandi lex credendi applies: if the liturgy undergoes a radical alteration, so will the faith of the people. Fortunately, Card. Vaughan was spared the harrowing experience of witnessing a 20th century Cranmer, Archbishop Bugnini, wreaking unprecedented destruction on the immemorial Tradition of the Roman Rite with the support of reigning Popes. In our comparison between the pre-1955 Sacred Triduum ceremonies and the reform of Pius XII, we cannot fail to notice how many traditional elements were subtracted by Bugnini from the whole ensemble. 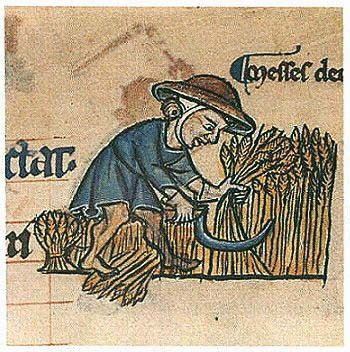 These ranged from small (though not insignificant) details – such as the odd versicle or vestment plucked from the rites like petals from a rose – to whole swathes of ancient texts carved out of the Roman Rite as if by a scythe in the hands of a demented reaper. We may well wonder at such a tactic which, at a blow, shattered the Church’s millennial custom of prudent conservation. But there was method in the reformers’ madness. Whether the “cuts” were major or minor, they had a rationale behind them. They were all part of a war of attrition being waged against the traditional liturgy, starting with the gutting of the Holy Week ceremonies, which had given the clearest possible expression to the fundamental truths of the Catholic Faith. 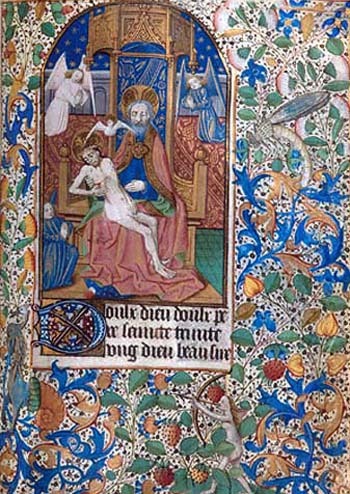 These included the Holy Trinity, the Divinity of Christ, the fall of man, the heinousness of sin and its consequences, the history of our Redemption – all central mysteries of Christianity, which had featured prominently in the traditional Triduum but which were either eliminated or minimized in the reform. As we consider the details of the reform of the 1955 Triduum, let us keep in mind what the subsequent history of the liturgy has made clear – that it was the beginning of the break-up and diminution of the traditional lex orandi, the thin edge of the wedge driven into the Roman Rite by progressivist reformers to separate the faithful from their spiritual and liturgical patrimony. Why exclude the Holy Trinity? It should not go unnoticed that when the new Holy Week rites were published in 1956, one of the antiphons sung during the Mandatum on Holy Thursday was strangely missing. Bugnini had excised it together with its corresponding versicle (Psalm 83:2). What was considered to be so objectionable about it? It had a similar theme and wording to the Introit of the Feast of Holy Trinity. (2) As every Mass is offered to the Holy Trinity, this antiphon was a most fitting theme linking the Mandatum to the ordination of priests at the Last Supper. The liturgy is now silent about this connection. The suppression of the Trinitarian antiphon indicates an underlying intention towards future developments in “inter-religious dialogue” when the Mandatum would eventually be open to people of all faiths. It could hardly be expected that Muslims, for example, would consent to have their feet washed to a hymn of praise to the Holy Trinity. Better to exclude the Holy Trinity, it was thought, than non-Christians. Also significant was the loss of the versicle from Psalm 83:2, which accompanied the antiphon: “How lovely are Thy tabernacles, O Lord of hosts!” The prophet David, looking into the future and longing for Heaven, foresaw something of the supernatural reality of Heaven in the Church, which Christ, by His constant Presence in her tabernacles, established on earth for our salvation. It is not difficult to see what was problematic here for the reformers: the traditional Mandatum clashed with their idea of some nebulous, utopian “Supra-Church,” to which all creeds apparently belong, leading to Vatican II’s false teaching that non-Catholic religions are efficacious for salvation. Nor is it surprising that since the 1955 reforms, the faithful have been continually shaken and rendered uncertain in their faith in the Church as the one Ark of Salvation, with the result that most Catholics have become either indifferent or hostile to this truth. 1. Card. Herbert Vaughan, A vindication of the Bull Apostolicae curae, London: Longmans Green, 1898, pp. 42-44. Card. 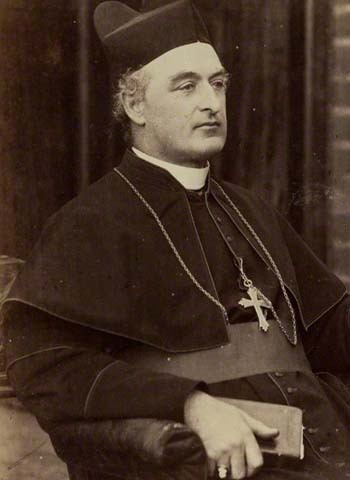 Vaughan, Archbishop of Westminster from 1892 to 1903, came from a recusant Catholic family who had suffered persecution in the 17th century for attending Mass, but who persevered in the Faith. He was greatly impressed by the piety of his mother, a convert to Catholicism, who prayed earnestly for religious vocations for her 13 children. 11 of them became priests or nuns; 3 of the priests became Bishops and the remaining 2 children spent some time in a seminary. Before the 1955 reform, the 8th antiphon of the Mandatum began as follows: Benedicta sit Sancta Trinitas atque indivisa Unitas: confitebimur ei, quia fecit nobiscum misericordiam suam. “Blessed be the Holy and Undivided Trinity: we will give glory to Him because He hath shown His mercy to us.” These words were identical to the opening sentence of the Introit of the Holy Trinity. For example, Suscipe Sancta Trinitas which the priest recites during the Offertory, and Placeat tibi, Sancta Trinitas, before the final blessing.